A city newspaper has ceased printing a daily late final edition just over a year after it was revived. The Glasgow Evening Times had reintroduced a second edition in May last year, after it was previously dropped last April. But owner Newsquest says the edition has now been dropped again due to “changing reader habits”, although the Evening Times will retain the ability to publish a late final should a breaking story merit the publication of one. At the same time, Newsquest has also confirmed five promotional sales staff have been made redundant in Glasgow. A Newsquest spokesman said: “The vending operation ceased over two years ago, however we retained some promotional sales positions within Glasgow. 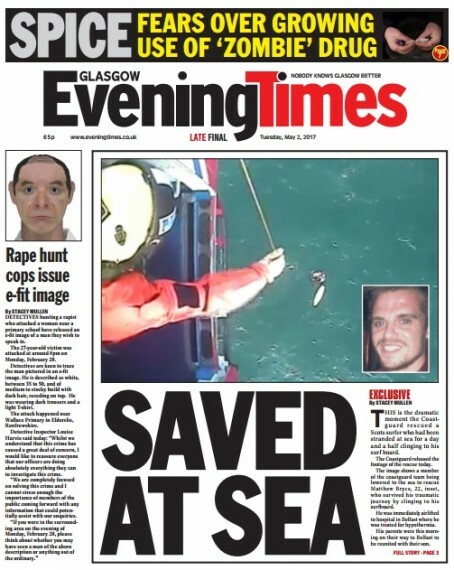 The revival of a regular Evening Times late final had come about after positive feedback from readers for the paper’s special run on the day of the General Election announcement, on 18 April last year.